With kids at home on vacation, I want to start my day with a filling breakfast. I want to make sure that we have the energy for all the activities that we’ll be doing for the day and breakfast is very important. 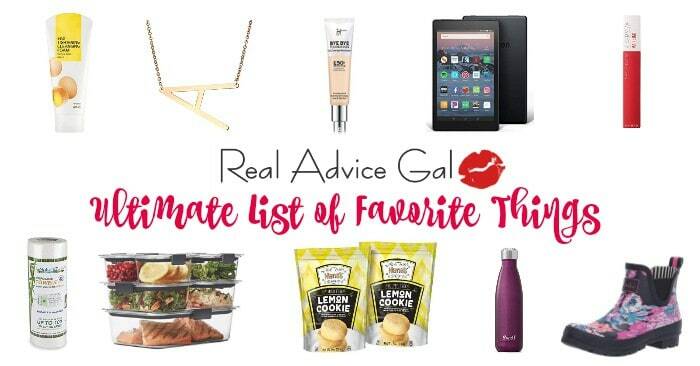 Avocado is one of my favorite fruit because not only is it delicious, it’s also packed with nutrients. 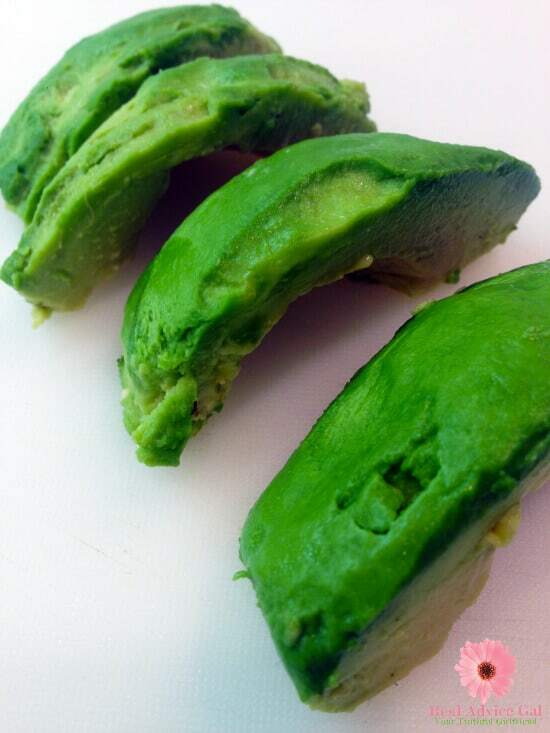 Whenever avocado is in season, I make sure to make guacamole to take advantage of its health benefits. Another great way to use avocado is for breakfast. By adding this fruit to your sandwich, you can have a nutritious and more filling breakfast that will power you up for the day. 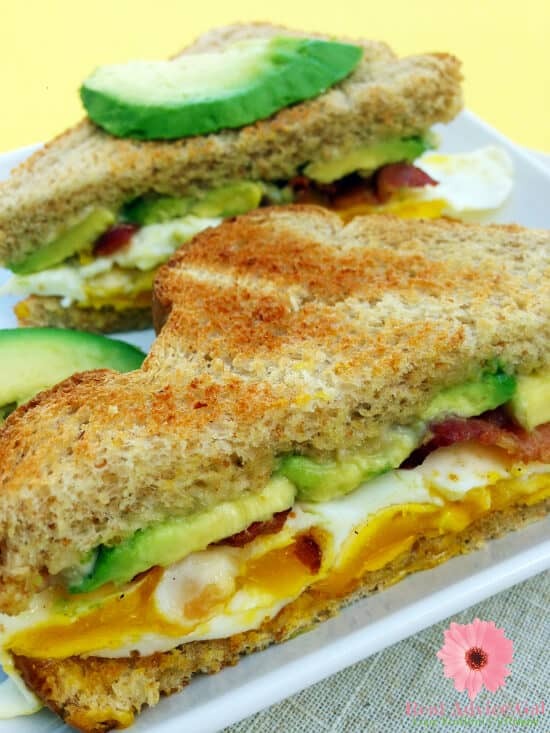 Making an avocado breakfast sandwich is super easy, and it’s even a great sandwich on the go recipe. 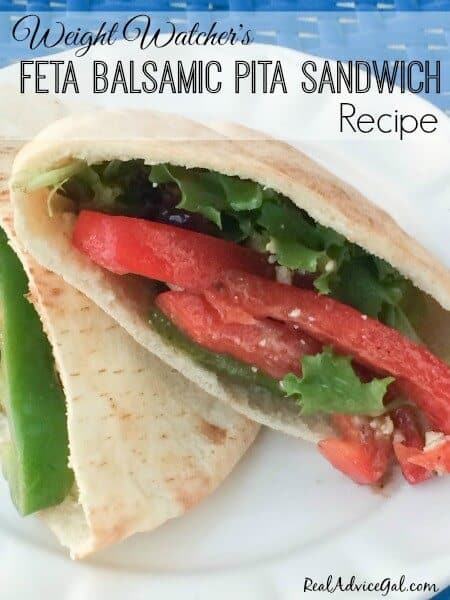 My family loves this for breakfast or lunch. 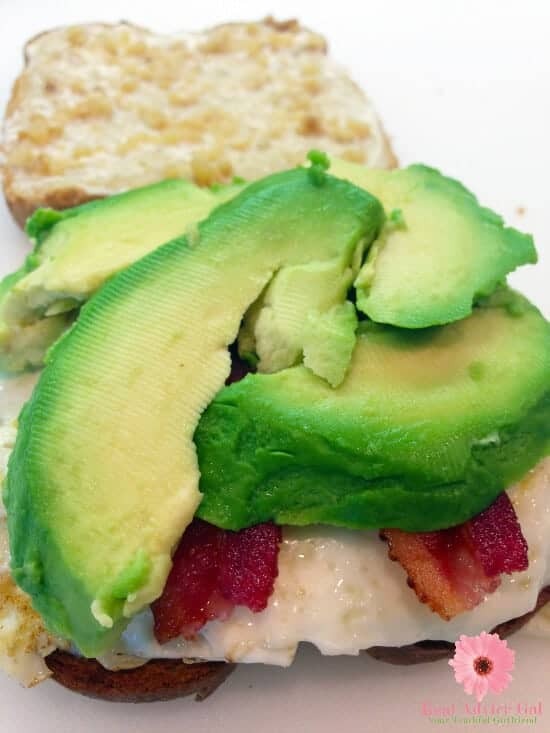 Don’t worry it’s super easy to make and only takes a few minutes, so check out below on how to make an avocado sandwich recipe. 2. Place 2 strips bacon in microwave (cover with paper towel) for 2 to 3 minutes. Remove excess grease with paper towel. Set aside. 3. Heat bread in toaster. 4. Heat stovetop skillet on medium. 5. Add butter to skillet. 6. 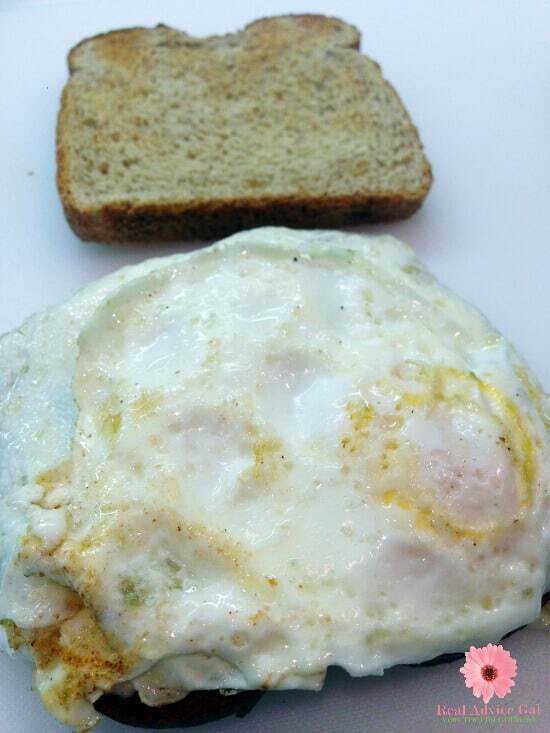 Add eggs to skillet. Turn heat to low. Fry approximately 2 minutes on each side to achieve over easy eggs. Add salt and pepper to taste. Remove from heat. 7. 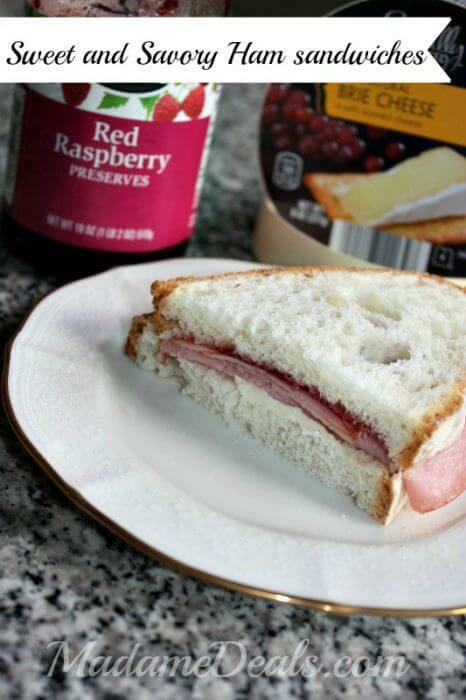 Remove bread from toaster. Add eggs, bacon, and avocado to bottom slice. Add mayo and crushed garlic to top slice. Sandwich together. Place 2 strips bacon in microwave (cover with paper towel) for 2 to 3 minutes. Remove excess grease with paper towel. Set aside. Heat stovetop skillet on medium. 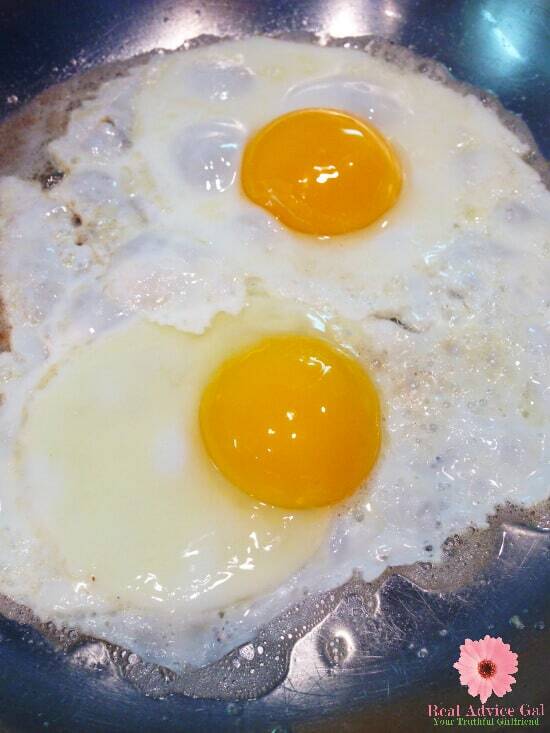 Add eggs to skillet. Turn heat to low. Fry approximately 2 minutes on each side to achieve over easy eggs. Add salt and pepper to taste. Remove from heat. Remove bread from toaster. 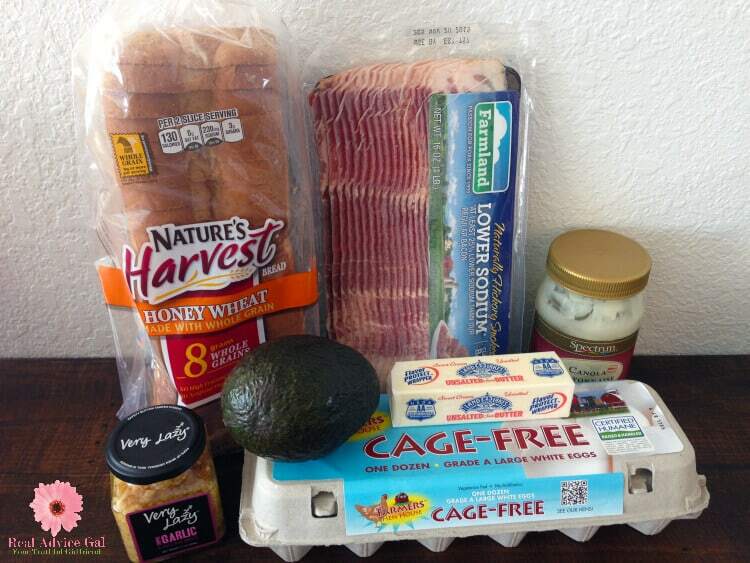 Add eggs, bacon, and avocado to bottom slice. Add mayo and crushed garlic to top slice. Sandwich together.